We spend a lifetime at work and in our everyday lives trying to improve our performance and efficiency. By creating a better performance model, we try to achieve our goals with higher quality, more uniformity and fewer errors. In a hospital we seek a more efficient work environment, fewer medical errors, happier patients and employees in a culture of open, transparent fairness, all in an effort to promote good health. Most of the PI techniques have very common themes and methods, utilizing various charts, diagrams and other heuristic tools. Why do we have so many different methodologies…, because none them work with any consistency and Kotter has stated that over 70% of change management fails!! The failure rate is likely much higher. Further, since recidivism is rampant, most often problems recur. All these systems go in and out of vogue and just like losing weight and the latest fad diet, all of them fail or only provide temporary results. 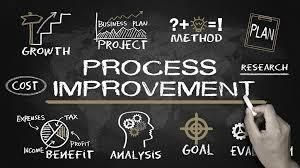 Let’s explore each of these common elements to understand the repeated failures of process improvement and system analytics. 1. Defining the goal can be highly contentious and each stakeholder may have different goals . There is always the potential of certain individuals or groups within an organization to be invested in the status quo and undermine the entire process. Do not underestimate the personalities and human dynamics that can create failure in step one of the process. 2. Understanding system variables which can influence the outcome and goal: Too often our systems are so complex especially in the health care environment that understanding all the variables is impossible. We do not know what we do not know. While a small industry of consultants have emerged touting the success of the principles and management of high reliability organizations, the transferability of these techniques to the health care environment has proven to be challenging. Having analyzed one health care delivery system, may have little application to another setting. 3. Human variables and motivations can be equally enigmatic and without a group mission/vision achieving even an agreed upon outcome can be difficult. Nine of Deming’s fourteen principles involve human factors which can lead to the failure of process improvement projects. 4. One common methodology is plan do study act cycles (PDSA) or Plan do check adjust cycles (PDCA) Each one of the elements here can be incorrectly performed, including inadequate planning, investigation, poor implementation and finally failure to adjust to rectify previous poor outcome. It is easy to understand the failure of all these systems. Is there any method or technique to create PI which can avoid the above described pitfalls and difficulties? There is clear data that some interventions can create change and achieve a desired outcome. 1. Pearson’s law -"When performance is measured, performance improves. When performance is measured and reported back, the rate of improvement accelerates. " 2. Sentinel effect - The theory that productivity and outcomes can be improved through the process of observation and measurement. 3. Hawthorne effect- (also referred to as the observer effect) is a type of reactivity in which individuals modify an aspect of their behavior in response to their awareness of being observed. 4. Mere measurement effect- merely measuring an individual's intentions changes their subsequent behavior. Mere measurement, questioning and reporting, influence and change behavior. The simplest example is the improvement in outcomes when individuals are told they will be observed and there performance measured creating improvement such higher efficincy. Almost every system of PI emphasizes the profound impact of the culture of an organization on the effectiveness of both identifying, investigating and correcting areas in need of improvement. Kotter mentions culture as the last of his eight success factors but it is likely the most important. One of the best examples of this in the health care industry is culture of safety (COS) promotion. Organizations see the benefit of just distributing the COS surveys offered by the Agency for Healthcare Research and Quality. The questions soliciting opinions, problem identification, communication and determining if individuals feel valued within the organization. These inquiries make workers feel valued, point out the need for them to identify problems and to give suggestions for improvements.